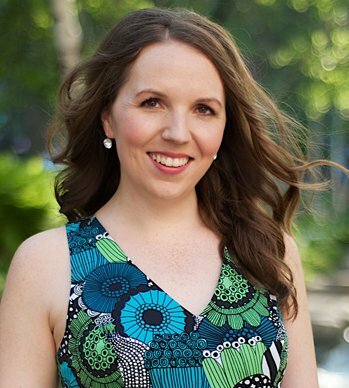 Beth Bayley, a native of Toronto, Ontario, has performed professionally on both the operatic and concert stage. She is a regular performer with the Minnesota Opera and a resident artist with Opera Niagara. Most recently, Beth performed the role of Leonora in Verdi’s ll trovatore, and covered the role of Musetta in La boheme with Opera Niagara. In summer 2017, she travelled to Italy to perform a number of concerts at venues such as the Museo Renata Tebaldi and the Casa Barezzi in Busseto, and the Casa Verdi in Milan, while also studying with world renowned Australian conductor, Richard Bonygne. In 2015, she sang the role of the Countess in Mozart’s Le nozze di Figaro with the University of Minnesota Opera Theater, and had the immense privilege of traveling to Urbania, Italy, to participate in the inaugural season of Operavision Academy. In 2014, she sang the role of Pamina in a concert version of The Magic Flute with the Minnesota Opera’s CoOperation Residency outreach program. She also sang the role of Marenka in Smetana’s, The Bartered Bride, with the University of Minnesota Opera Theater, and had the opportunity to sing in the world premiere workshop of Kevin Puts’ new opera, The Manchurian Candidate, with the Minnesota Opera. Other operatic roles include Alice in Falstaff, Ottavia in L’incoronazione di Poppea, Ciesca in Gianni Schicchi, the title role in Suor Angelica, the Mother in Hansel and Gretel, and Nancy in Albert Herring. Beth’s recent concert performances include Beethoven’s 9 th Symphony, Bach’s cantata, Aus Tiefer Not and Handel’s Messiah. Beth holds a DMA in Voice Performance from the University of Minnesota, and earned her Master of Music at the University of Minnesota Duluth. I like to teach the way I’ve been taught, promoting a technique and sound that is both healthy and beautiful, from top to bottom. I like to say that anyone can sing, but a great voice teacher ensures the longevity of a voice, whether the student wants a singing career, or learns singing for pure enjoyment. Finding your true voice is paramount – You should sound like you! Part of my mission is to also pass down the technique and vocal style of the great singers of the past. Whether you are studying opera, musical theater, pop, or folk, there is no denying that each genre had its own golden age, and I strive to bring the best qualities from that time into the present. Studying singing is an incredibly personal and emotional journey, so the voice teacher should create a safe space for all students to be themselves and to feel safe while they learn what their unique voice is capable of. Along with vocal training, I also emphasize dramatic characterization, and encourage work in piano studies, music theory, and history to create the well-rounded artist. Under 18: start with 30 minutes and we can adjust from there 18+: 1 hour Students considering any type of auditioning are encouraged to take 1 hour lessons to allow time for musical prep and discussion of non musical audition elements. Lessons are pre-paid each month, however, this can be rearranged for reasons related to financial constraints. At this time, lessons can be paid with cash, check, credit card, or PayPal. Lessons canceled with less than 24-hour notice are non-refundable and cannot be rescheduled. No-shows cannot be rescheduled. You will be sent a payment invoice for lessons cancelled with less than 24 hours notice, and this includes no-shows. A no-show includes any lesson for which the student arrives 15 minutes late or more. The next lesson will not be scheduled until payment is received. Lessons canceled with late notice due to an emergency can be rescheduled at a mutually convenient time. Emergencies are illness, severe weather, or family related emergencies. Lessons cancelled by me will be communicated immediately, with as much notice as possible, and these lessons will be rescheduled. Students arriving more than 15 minutes late for their scheduled time will lose their lesson time unless there is proper communication via phone call, email or text message indicating they would still like to use the remaining time. Regular cancellations, no-shows, or late arrivals may result in removal from my studio at my discretion. Part of the fun of singing is singing with a full piano accompaniment! I may suggest every once in a while that you hire a pianist (with my help) to come to your lesson to play while I focus on your technique and dramatic engagement. This will be especially important for audition prep.